Media expert and Managing Editor, The Nation Newspapers, Lekan Otufodunrin in Kaduna on Thursday associated the spate of poverty in Nigeria to age long corrupt activities of some public officeholders. 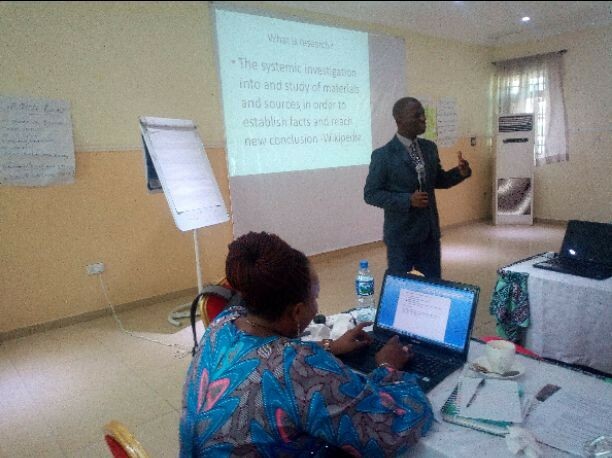 The media expert who stated this while taking 30 selected media practitioners on the tour of investigative and data journalism at day one of a three-day capacity building training workshop on corruption reporting and story telling noted that, journalists need to be on top of the game in order to address the prevalent ‘fake news’ in media space. ActionAid Nigeria under its Strengthening Citizens Response Against Prevalence of Corruption (SCRAP-C) has organised training workshop for members of civil society organizations (CSOs) and media practitioners using the freedom of information (FoI) Act and constitution of the federal republic of Nigeria as key tools to demand accountability from public officeholders. To get this done, Otufodunrin added that, an investigative writer especially journalist, must have his facts, establish the truth using the data and facts and providing the public with verifiable information while performing his watchdog constitutional responsibility. He was of the opinion that, poorly researched story may land the writer and his medium into defamation of character charges. “Media practitioners who wish to distinguish themselves must be abreast of tools needed to do award winning investigative journalism especially, such stories that are capable of exposing executive failure and specific corporate establishment with a view to ensure positive changes”, he said. Earlier, the Project Administrator, SCRAP-C, Foluso Ibigbami said, one of the key objectives of the workshop was to build the capacity of the media on corruption reporting (investigative and data journalism) and story telling. Also to be discussed in the 3-day training program are scripting writing for a wow story, integrating social media into news reporting using Freedom of Information (FOI) for investigative stories and news and feature as a tool for the investigative journalism. At the end of the meeting, participating journalists are expected to develop interest in four key sectors of Nigerian economy which include taxation, power, education and health with a view to effect positive change in the interest of all Nigerians irregular elective of any sentiment.